Keep your garden looking its best with this must-know info! This shrub rose can survive winter weather without extra protection. Find out how to use cuttings to bring helpful bees to your garden! Use these tips to create a relaxing backyard escape! Recycle nursery containers and protect shrubs from winter damage! Looking for a perfect perennial? Check out these reliable bloomers. 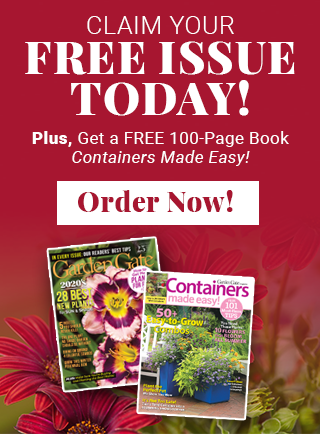 Try this easy solution for your containers!